This web page is a dedicated online portfolio for organizing Maria's writing and activity on the web. The most recent additions to her web publishing may be found below. Maria is currently a full-time taxi chauffeur in Las Vegas, Nevada. She rescues guinea pigs and practices organic gardening. Follow and be followed back. Maria participates on most all of the current networks. 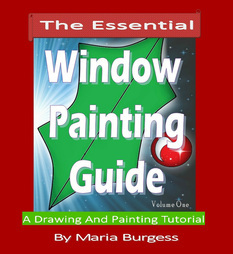 The Essential Window Painting Guide is the beginner's walk through what it takes to paint windows for holiday celebrations. The volume one issue describes in detail what tools are needed, the simplest designs to draw and paint, and even an easy tutorial on lettering. Can't draw? Perfect! This book will help teach you drawing techniques using step by step illustrations and directions. Maria began writing in February of 2012. She received several front page awards on Squidoo, a magazine style website for writers on the internet. Squidoo sold out to Hubpages in 2014 and her article list went along with it. Search a list containing over 65 articles covering many topics on Hubpages. Gardening is one of Maria's passions when she is not painting or writing. She is currently working on a gardening journal to be released soon. 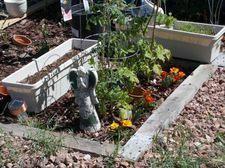 You may find additional gardening articles on her Hubpages profile. It is an exciting year for garden projects. Graduating to a full sized yard has Maria unpacking containers and plotting new growing ideas. 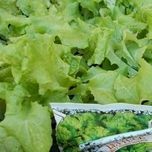 Lettuce has always given me fits in the garden plan. This year I discovered a unique solution to this problem. Survival Recovery is a website dedicated to the essentials of preparedness and survival. Prepping a family for emergencies is more than getting ready to evacuate a home. It is about being prepared for any type of disaster, not just weather crisis or major calamity. It is a way of life that includes many activities that encompass self-sufficient living. Saving money, food, and essentials towards tough times is part of that lifestyle. Sign into the guest book for an occasional update newsletter via email. Several new titles are on the writing block. Gardening, Southern Nevada Travel and a children's book are in the works. Thank you for visiting! I have created a few rough videos for demonstrating the topics I write about and the lifestyle I practice. One of my favorites is the Strawberry Jammin' video.